Even when the baby isn’t on board mom and dad are still in parent mode. Let the world know your child is always on your mind with the Strap A Baby Apron. It features a picture of a baby strapped into some high tech babywearing gear. Super parents know that it takes a multitalented soul to be able to cook a meal while keeping track of the baby. This is a great gift for any new mom or dad that’s experiencing the joys and sleepless nights of early parenting. 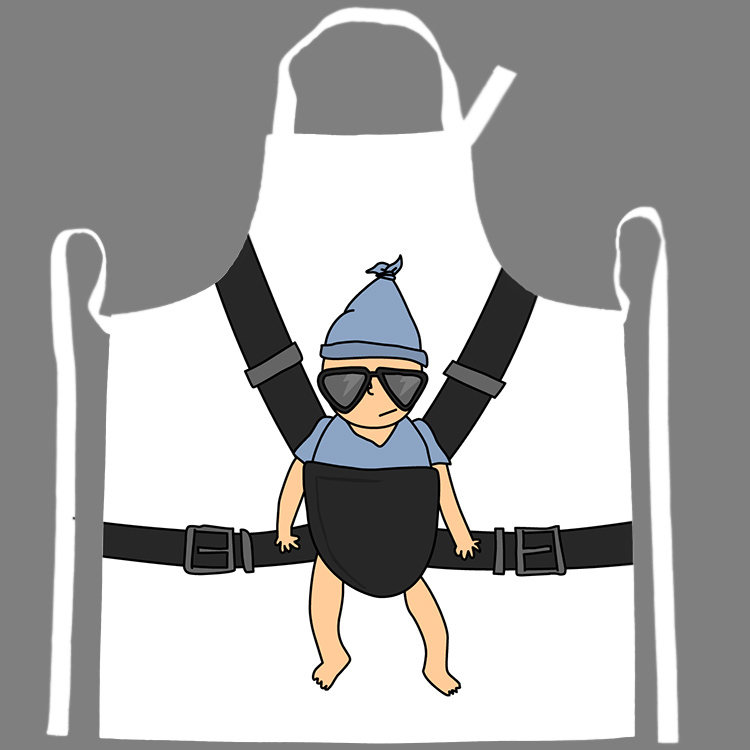 When you’re about to cook or go grilling, don’t forget your Strap A Baby Apron.